Identify and respond to major student initiatives. Create leadership and engagement opportunities for CI students. 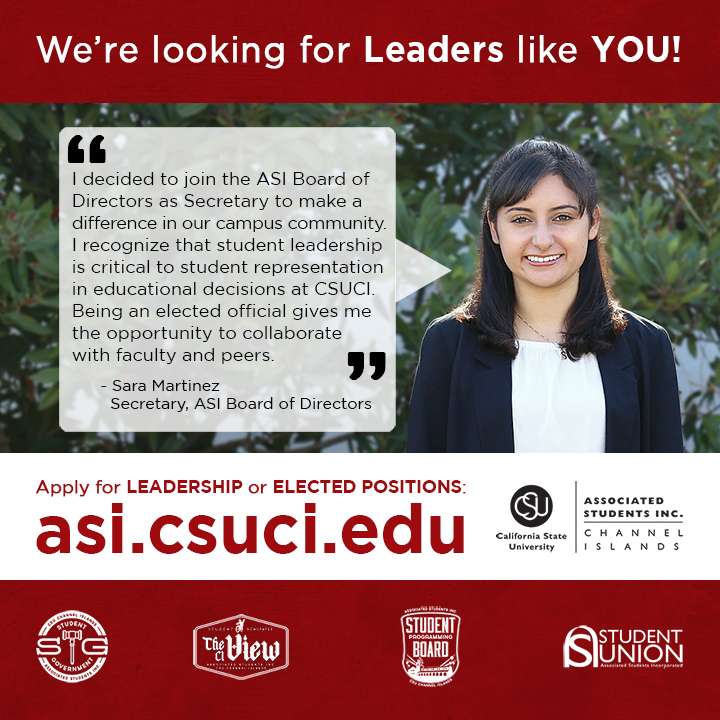 Oversee the Associated Student and Student Body Center fees. 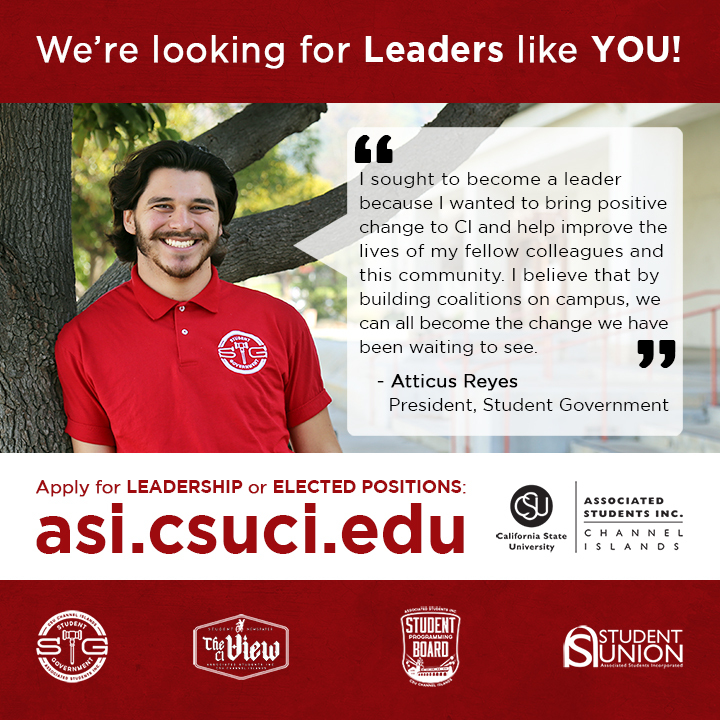 Provide general direction for the management of the Student Union facility. 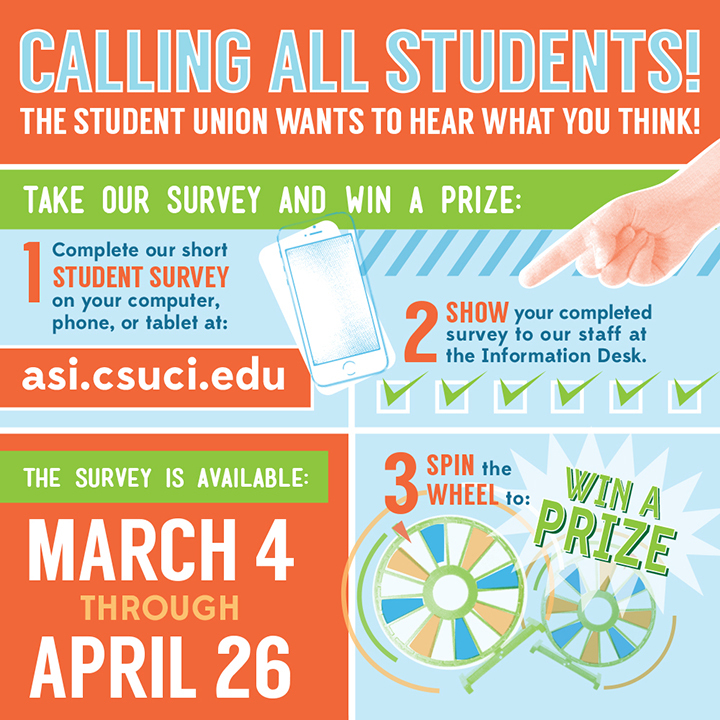 The Student Union wants to hear what you think. Take our online survey and win a prize. 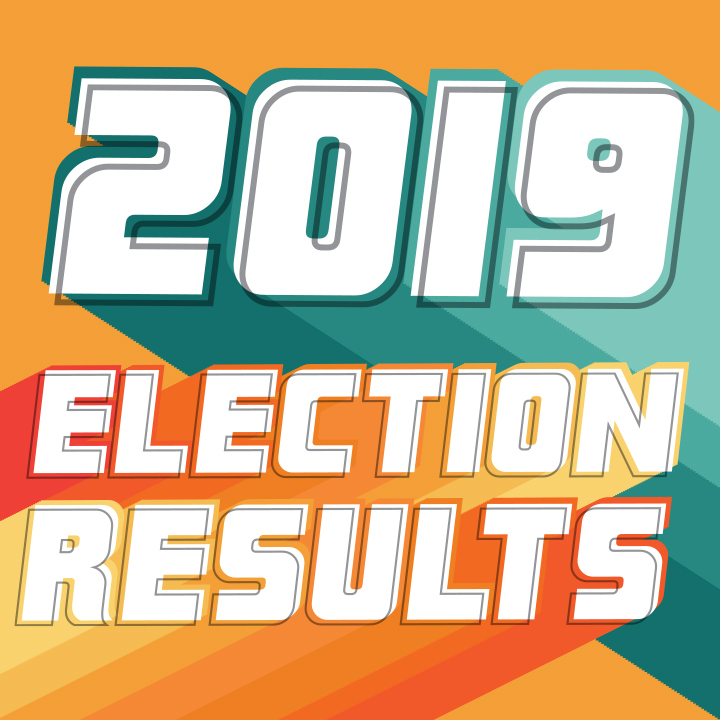 The survey is available now through April 26th. Calling all GAMERS!!!! 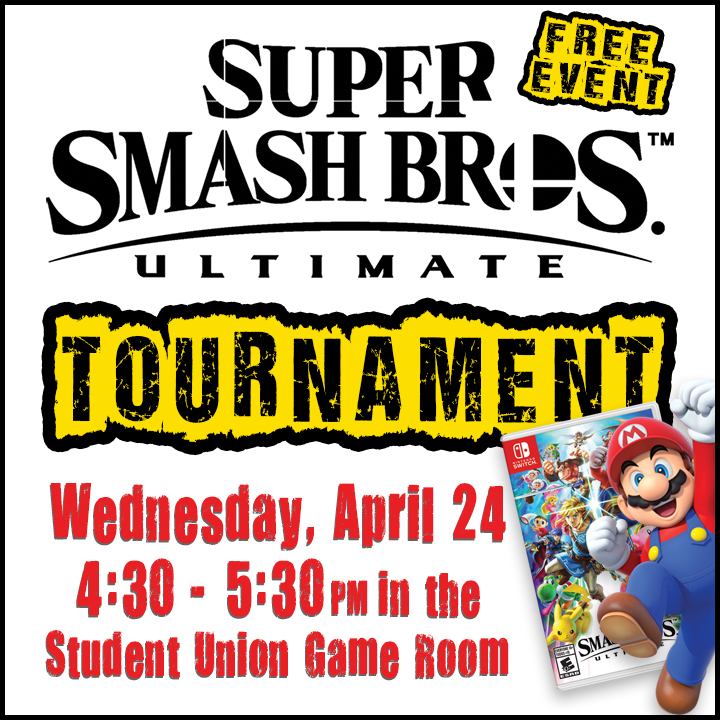 The Student Union invites you to join our Super Smash Bros. Ultimate Tournament on Wednesday, April 24 from 4:30pm - 5:30pm in the game room of the Student Union. This is a FREE EVENT! 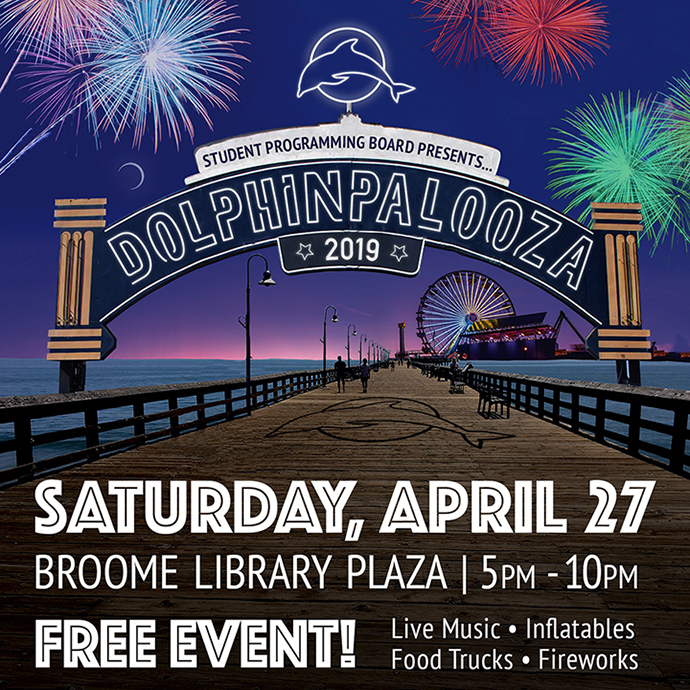 Join ASI's Student Programming Board (SPB) for DOLPHINPALOOZA! 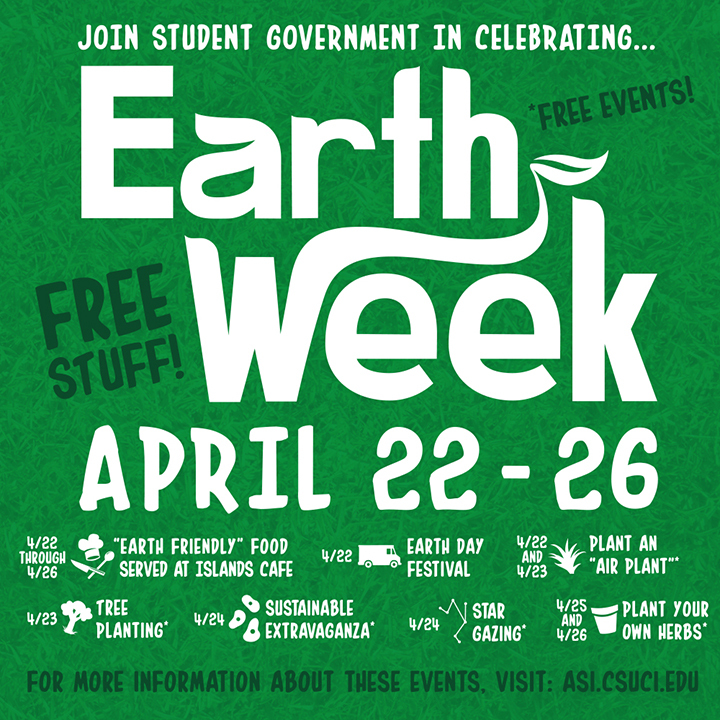 This event will be held on the Broome Library Plaza and lawn on Saturday, April 27, from 5:00pm - 10:00pm for Live Music, Food, Inflatables, Activities, and Fireworks that will light up Central Mall. This is a FREE EVENT! The Division of Student Affairs is committed to on-going and continuous improvement. As part of our evaluation process, we invite you to share feedback regarding your experience with our programs, services and staff support by completing our brief response form.